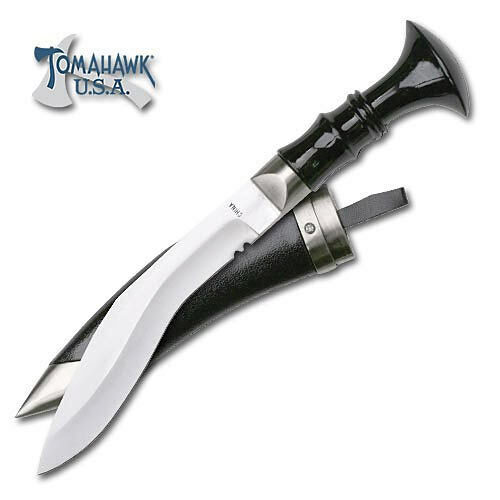 Mini Middle Ages Kukri with Sheath | BUDK.com - Knives & Swords At The Lowest Prices! This medieval model of the legendary kukri fighting knife features a 5" stainless steel blade. The handle offers a zinc aluminum bolster and a large black composite handle. This piece measures 9 1/2" overall and includes a rigid composite sheath. Tomahawk, XL1295.